A disappointing Commonwealth Games campaign has served as Jazmin Sawyers’ motivation to improve, with the summer season her next big target. Her seventh-place finish with 6.35m paled in comparison to the silver medal she achieved four years ago in Glasgow, following her relocation to Florida, where she now lives and trains. After the Gold Coast, however, 24-year-old Sawyers, from Trentham, is looking at how she can boost her performances, confident she can still return to her previous best. “Gold Coast didn’t go for me as I wanted it to,” she admitted at the Team England homecoming celebration in Birmingham. “I finished seventh and after a second place in Glasgow, I was really disappointed. “But, it’s early in the season. I’ve changed my coach so hopefully I’ll be able to push forward and put in a much better performance at the Europeans this summer. A determined Sawyers is now concentrating on building up to represent Team GB at the Olympic Games in 2020. “I’m back to training hard,” she said. “I was back from the Gold Coast less than a week ago and I’m straight back to Florida. “I’ll be competing next week, trying to qualify for the European Championships in August. “We’re all looking for Tokyo, that’s got to be the next big thing. Falling short in Australia did not dampen Sawyers’ spirits, with thousands of fans from England and the world over making their support known. 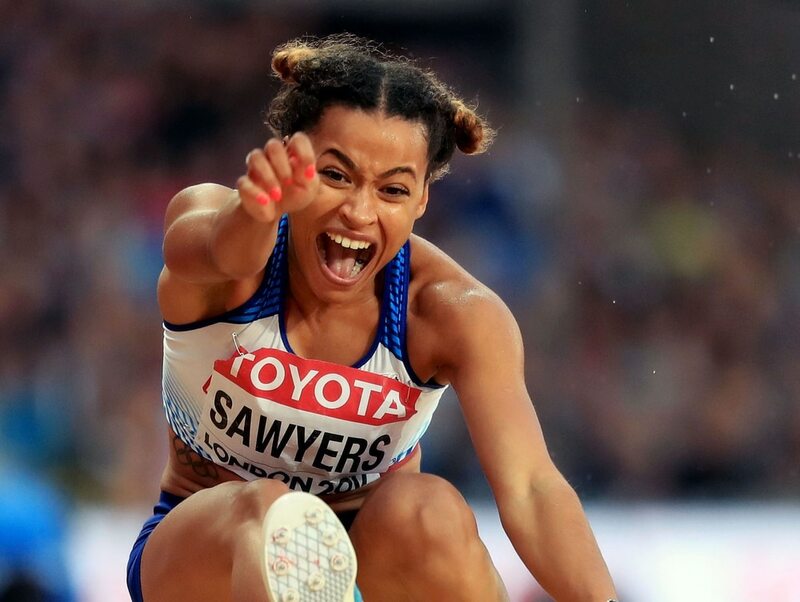 With the Commonwealth Games set to return to Birmingham, just a stone’s throw from her hometown of Stoke, in four years’ time, Sawyers is already urging locals to get involved. “I had so many messages from home and so many people wishing us well,” she said. “There were so many more English flags in the stadium than I expected. “The support that we as English athletes always get is just incredible, and it really makes a difference to us so it means a lot. “After Glasgow 2014, which almost felt like a home Games, and then seeing the Aussie support in the crowd on the Gold Coast, just the thought of having that at home is so, so special. “I know how much of a difference it makes, and so I know how much all the athletes are going to appreciate having everybody at home backing them. Perhaps Sawyers will get the chance to sing Jerusalem, Team England’s national anthem, on the podium in 2022, but if not she will be satisfied just to inspire the next generation of athletes - or, indeed, singers. “Seeing kids in the crowd is the biggest thing for me,” she explained.